These 1oz silver bars coins or rounds have been selected as providing the lowest premium over spot available per dealer. *Bullion comparison prices selected are per individual item and don’t include any volume discounts. Product brands will vary. Offers checked weekly and subject to change. May include short term special offers. We manually check 1oz silver bullion prices at a wide range of precious metals dealers. To ensure we provide a true cross section of the market, we include a selection from national and international dealers to smaller but well-respected family companies. Most non-numismatic investors are looking for the lowest possible premium on their bullion purchases to ensure maximum gains, however attention should always be give to the resale ability of the bullion – and so we only list the premiums on well-known bullion brands, own-brand 1oz bullion or generic 1oz bullion from well established US-based mints. For example one brand of 1oz silver bullion bars and rounds that we find to be consistently cheaper than alternatives comes from Idaho’s Sunshine Minting, Inc. and in the majority of cases above the lowest premium 1oz bars or rounds are Sunshine Minting branded. From our chart it can be seen premiums vary from 75 cents to $2.20, and in cases where companies have higher premiums, it typically means they either don’t sell generic bars or silver rounds and instead carry premium branded products or only sell popular 1oz coins such as Silver Maples or Silver American Eagles. Comparing Bullion Prices: Basic or Premium Brand? Purchasing a generic bar or round vs a Silver Maple or premium-branded bar simply comes down to a personal choice. It’s often argued that resale of the most popular 1oz silver coins such as Maples or Eagles can be easier and achieve higher prices than when selling generic rounds or bars, but in practice, provided the generic bars or rounds are from a well-known mint we seldom find this to be the case. Where it gets a little trickier is selling generic bars or rounds from an unknown or little-known brand – but even then at the end of the day 1oz of 999 silver is always going to be 1oz of 999 silver and providing the metal tests true, you should still get something approaching spot. The next thing to look at when comparing silver bullion prices is the shipping cost and as can be seen above qualification for free shipping varies enormously from dealer to dealer, with some offering universal free shipping and others always charging. Depending on order size a balance of low premium and shipping cost should be examined to get best value. Companies that charge shipping say there’s no such thing as free or free shipping is hidden in a higher cost per item – however again we find some of the lowest premiums also come with the lowest shipping costs, such as can be seen with Silver Gold Bull and JM Bullion. Finally when looking at getting best value from a 1oz silver bullion purchase, it pays to ensure the dealer has an excellent reputation, an established history and good reviews with little in the way of complaint. 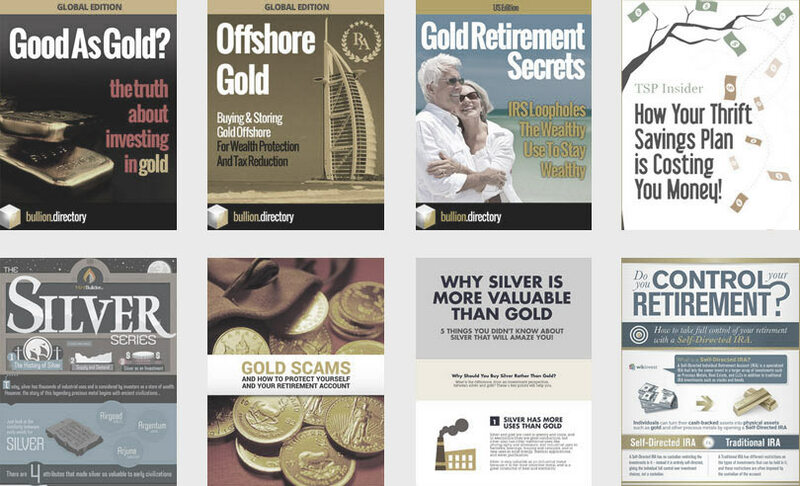 We ensure that we only list reputable dealers in our 1oz silver bullion comparison chart, and each dealer listing in bullion.directory carries user ratings and reviews to ensure our readers are fully aware of a dealer’s standing.